Was Wilfried Zaha's Manchester United hell due to club mismanagement? In a recent interview with The Guardian, Wilfried Zaha opened up about his life at Crystal Palace, Manchester United and moments that carved his life. The winger transferred from Crystal Palace to Manchester United in 2013 when he was 19. Sir Alex Ferguson’s last signing, he went back on loan to Palace soon after the transfer. Upon finishing the season at Selhurst Park, he returned to Manchester where he made a couple of appearances under new manager David Moyes. Failing to gain the Scot’s trust produced another loan, to Cardiff City. The next year, he returned to Palace on loan. His status as an Eagle became permanent in 2015. By then, Louis Van Gaal managed United. Zaha mentioned that his time at United was nothing less than "hell". The club exerted control over where he lived. He believed his appearances were limited because Moyes did not offer him enough chances. Constant rumours linking him with Moyes’ daughter aggravated the situation. He blamed the club for not coming to his rescue by clearing the air regarding false rumours. Living apart from his family, without his support system, he found no alternatives in the clubhouse. 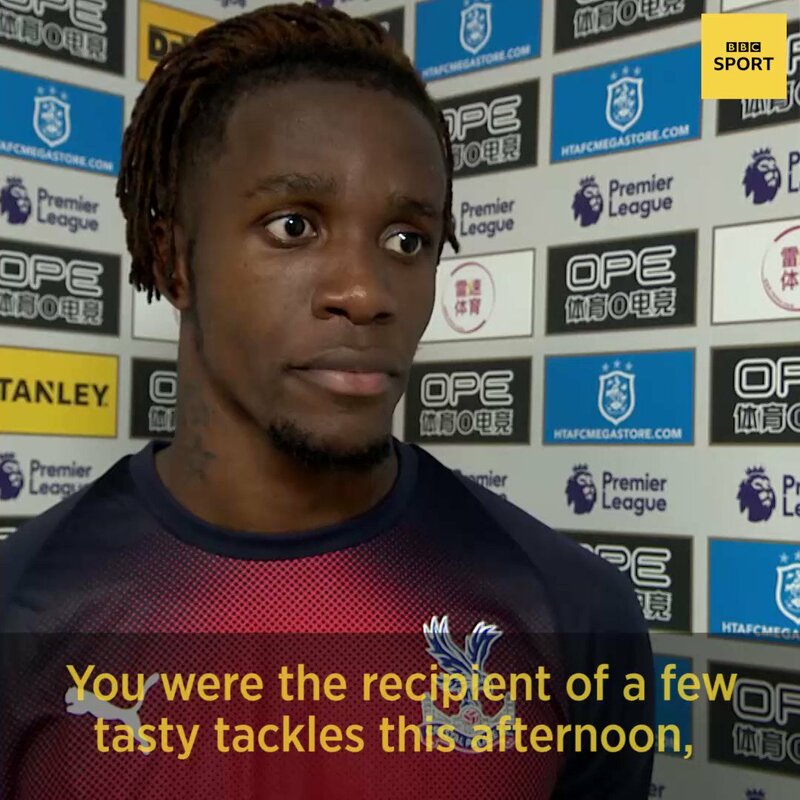 Zaha recounted one incident wherein he discovered his t-shirts scissored to pieces just because his teammates did not like his style. Although he matured, learning from his experience, the saga left a bitter after-taste. The question is how responsible is the club? Is any of this due to United’s mismanagement? His living arrangements and family disconnect can be blamed on his agent’s poor negotiating skills. For a 19-year-old to move to a new environment where the pressure's always high, it’s imperative that he's surrounded by the right people. If the agent doesn't understand that going in, is it incumbent on the club to investigate his needs? New United recruit Diogo Dalot moved with his friends and family this summer. Similar arrangements have been requested numerous times by other players and coaches. Players' thinking and ability to cope are influenced by their surroundings. The club rarely discusses such rumours. Every season brings dozens of salacious tidbits regarding player unrest, conflict with managers, even training ground showdowns. Put your hand down, Mr Pogba. Commenting on one sets a precedent to address them all. Transparency's all well and good but its presence can be abused, not to mention distracting. Similarly, patience is an important part of the ability to gain a manager’s trust. Luke Shaw sat out an entire season while he and Jose Mourinho came to terms. The player bears some responsibility to prove resilience. He cannot be coddled. Nor, even in a deep squad fighting on four fronts, are opportunities readily available for all. It's a competitive environment. You must work while awaiting your chances. If a player doesn’t want to move, there’s very little that a club can do to sell him. That's why Luke Shaw remains at the club. Zaha, on the other hand, accepted the chance to join another club. He may have been treated harshly at Carrington. Perhaps he was neglected. The question remains whether he possessed the proper mindset to overcome the adversity. Sayantan is a professional writer and freelance sports journalist writing for ItsRoundandItsWhite.co.uk, RealSports101, Sportskeeda and Open Veins of Football. He loves covering the Premier League and the Indian Super League and follows Manchester United and ATK (ISL). He appreciates pragmatic football and unlike most, understands that the football's beauty lies not only in attack, but the balance between defense and attack. However, he does not forget the love, the flair, and drama of football. When not engulfed in the Premier League or the ISL, he loves to watch Italian Serie A and La Liga.